When it comes to cleaning and organizing your home, there is an important part of the home that should not be overlooked: the kitchen area. 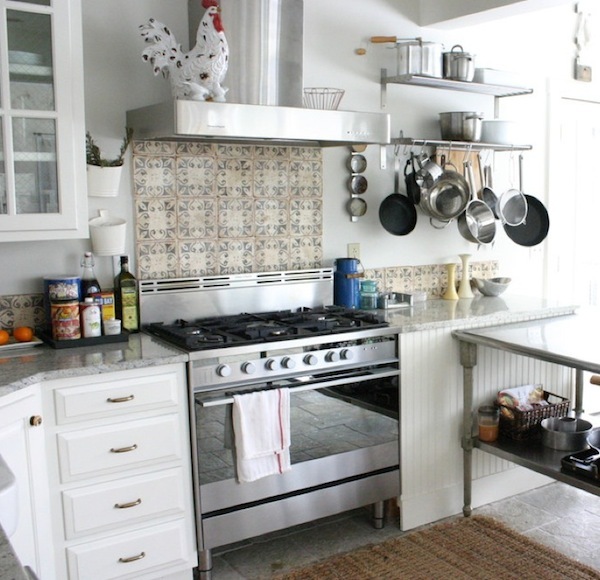 If care is not taken, your pots, pans, dinnerware and more can easily overtake your kitchen, especially the ones that are rarely used and this could range from cooking items to mail. 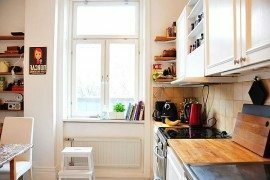 There are simple and creative ways through which you can organize your kitchen and one of them is by utilizing hanging storage in your kitchen. 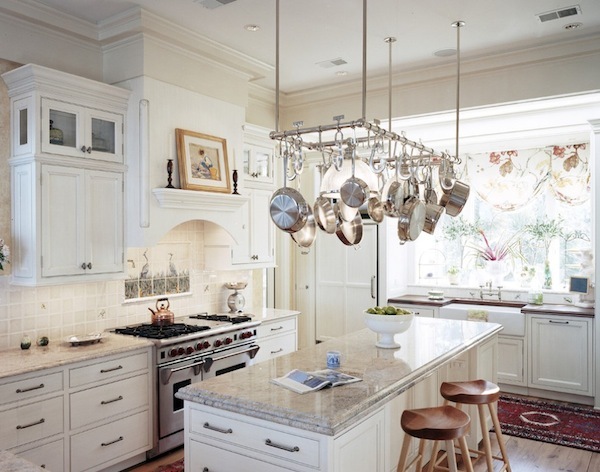 It can even serve as decoration when you hang your pans and pots in the kitchen, displaying colorful element in the interiors, especially when you have brightly colored pans and pots. 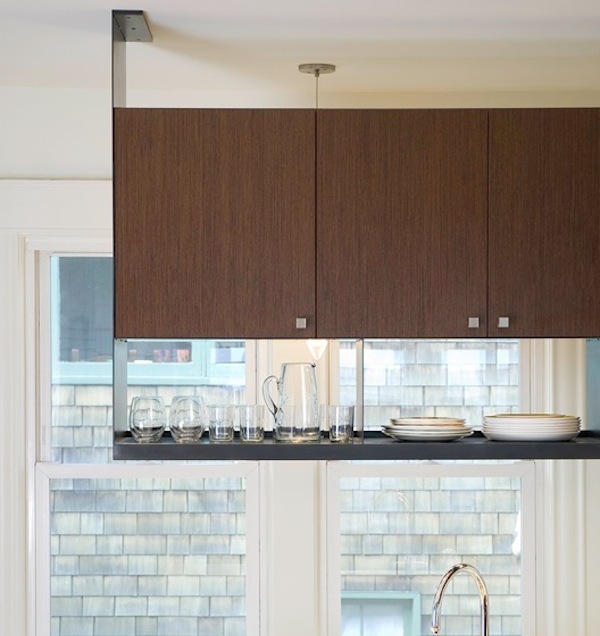 With the ideas below, including hanging shelves, open shelving, cabinetry, wall and ceiling pot racks, you can effectively and creatively store your cooking wares, glasses and dinnerware through hanging storage. Depending on your choice, you can opt for a single hanging shelf or two in one storage that comprises closed shelf and open shelf. 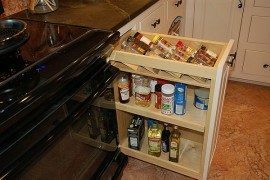 While you store the items you want out of sight in the closed shelf, the glasses, dinnerware and utensils you want to display go into the open shelving section. 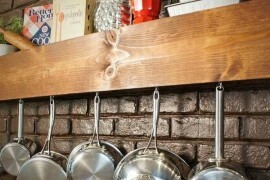 They are removable, easily hung and requires little or no overhauling before it can be hung in your kitchen. 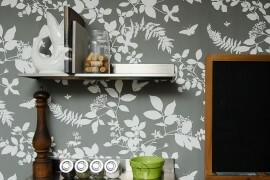 There is no need to waste space in your kitchen when you can effectively make use of the same. 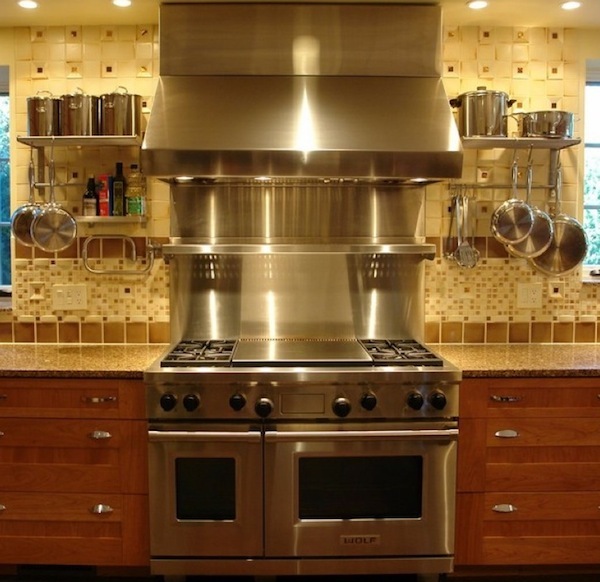 Having an open shelf hanging from the ceiling and utilizing the island in your kitchen is an effective way of maximizing space in your kitchen. 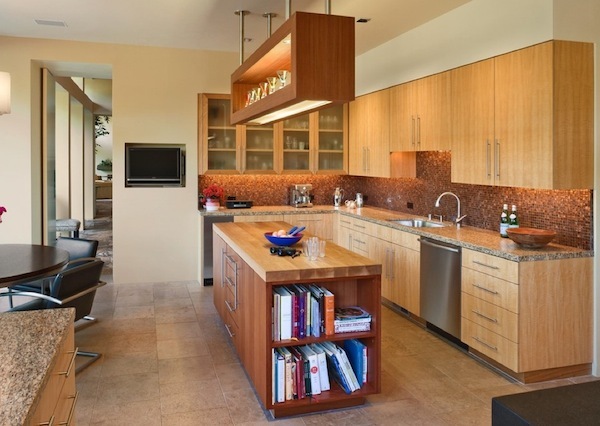 While the glasses go into the open shelf, the cookbooks and other types of books go into the open space around the kitchen island, creating not just visual appeal but makes it easier for you to access the items and books you want. 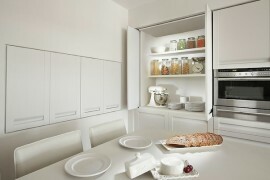 The wall space in your kitchen is another way of maximizing storage in the interiors. Not only is the wall and ceiling hanging pots rack functional in saving space for you, it is also decorative since one or more brightly colored utensils will bring in more brightness into your kitchen. 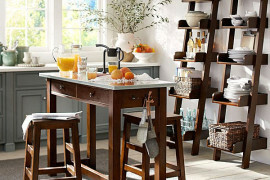 Instead of keeping those beautiful utensils in a closed storage, it is better to hang them on the racks to add a dash of style to your kitchen interiors while at the same time, making the cooking wares easily accessible. Hanging pots can be decorative too! 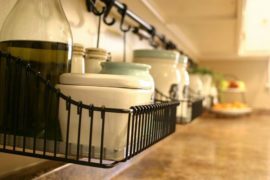 If you are looking for excellent additions to your kitchen, which are not just aesthetically pleasing but function in more ways than one, open shelving and wall hanging racks are a few of the option you need. 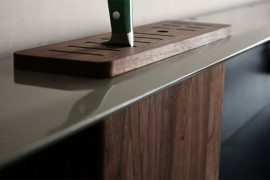 Even with decorative hooks, you can have your best utensils out in the open without occupying space. 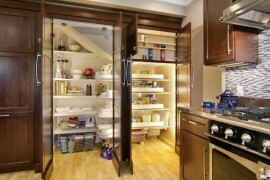 Hanging storage is the “hidden” secret to adding more usable and beautiful storage in your kitchen!